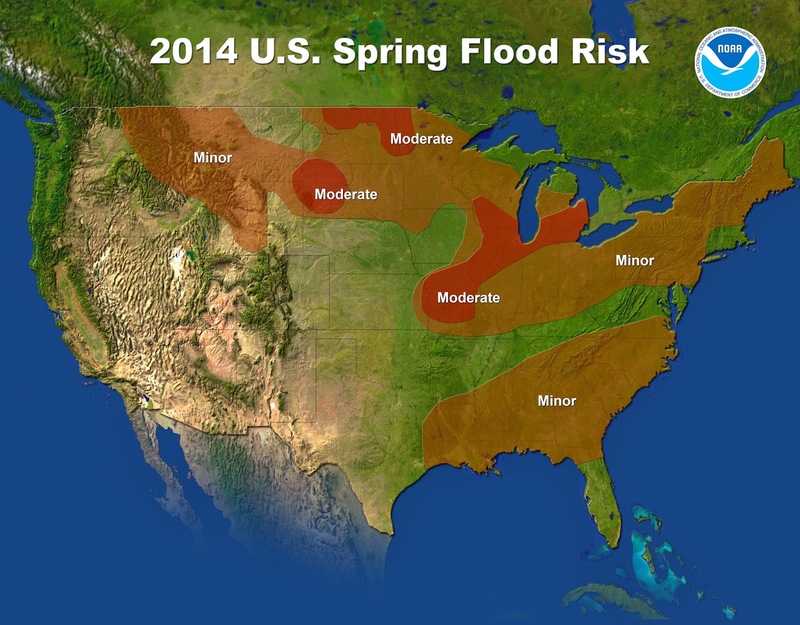 NOAA has released their annual Spring outlook for 2014. Believe it or not, we are now officially in the season of Spring! While the weather may not agree with the calender, warmer temperatures will eventually greet you outside. However, model trends and analog years point to a cool spring, as seen on the left. Many factors are in play for the persistent cold, but significant snow cover and oscillating jet stream are two driving forces to the unwanted below normal temperatures. For the sake of Spring optimism, here is a 850mb temperature forecast of the 12z GFS ran this morning for 2 weeks from now. It is showing a warm Spring day and pattern. Cold air suppressed well north and a strong area of high pressure in the east. This pattern leads to a long fetch of warm air from the Gulf to Canada leading to widespread 60s/70s/80s. While this exact situation likely will not happen, it is showing up more and more on the models as this stubborn pattern is attempting to switch over. 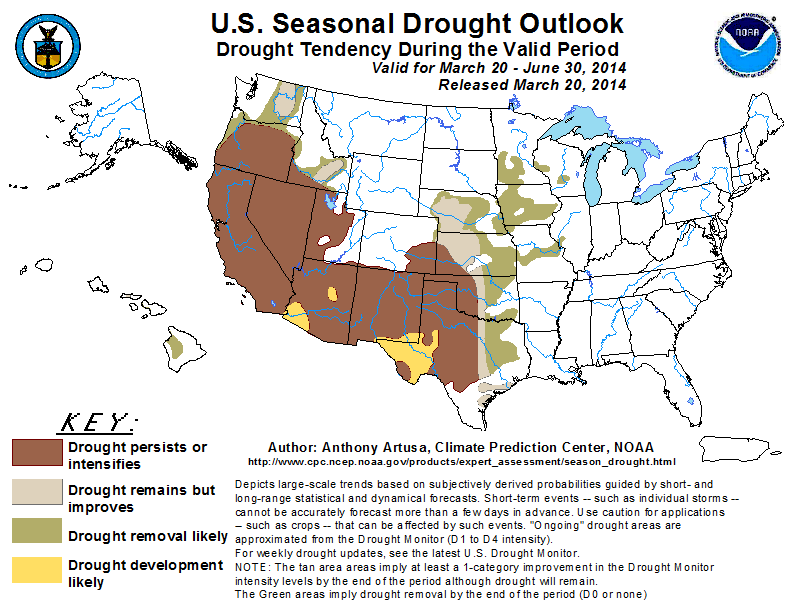 Briefly discussing the U.S drought forecast, we see much of this country's dry conditions will reside in the desert southwest. The CPC is predicting a drought removal for nearly all of the Midwest, after several years, thanks to an above normal winter in terms of precipitation. Thanks to www.noaa.gov for the well done maps!